Tear kale off stems and rinse/drain leaves thoroughly. Place in a large bowl. 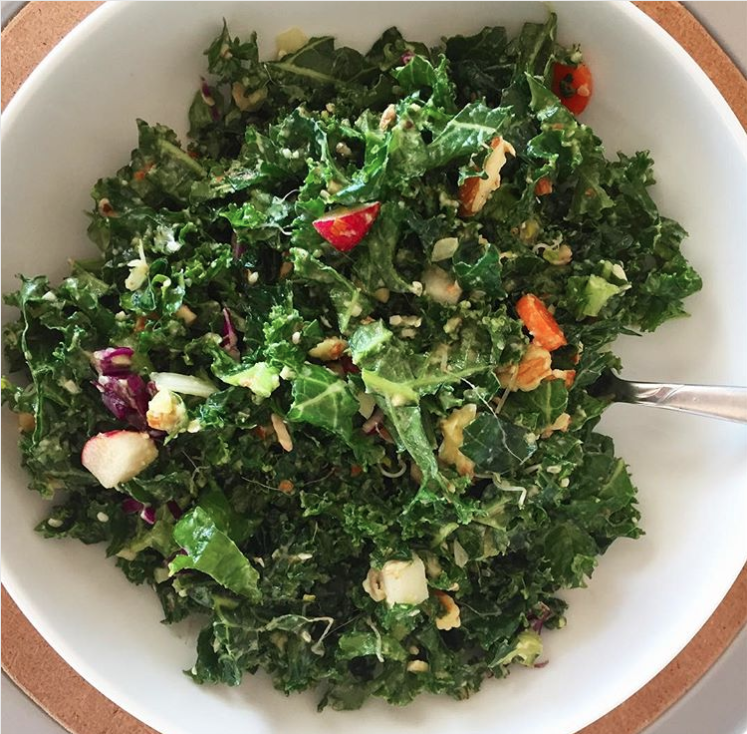 Add lime juice and massage kale + lime juice for about 2 minutes, while tearing the kale into smaller pieces. When kale feels softer, add the rest of the ingredients. With your hands, toss the salad thoroghly, mixing everything together, and making sure most of the avocado is mashed (not in cubes anymore).